UPDATE March 6th 2015: AJ Discala’s trading partner at OmniView Capital has thrown in the towel. Marc E. Wexler who was charged on multiple counts of securities fraud plead guilty to two felony charges on October 15th and agreed to pay a forfeiture bond of $1.4 million. 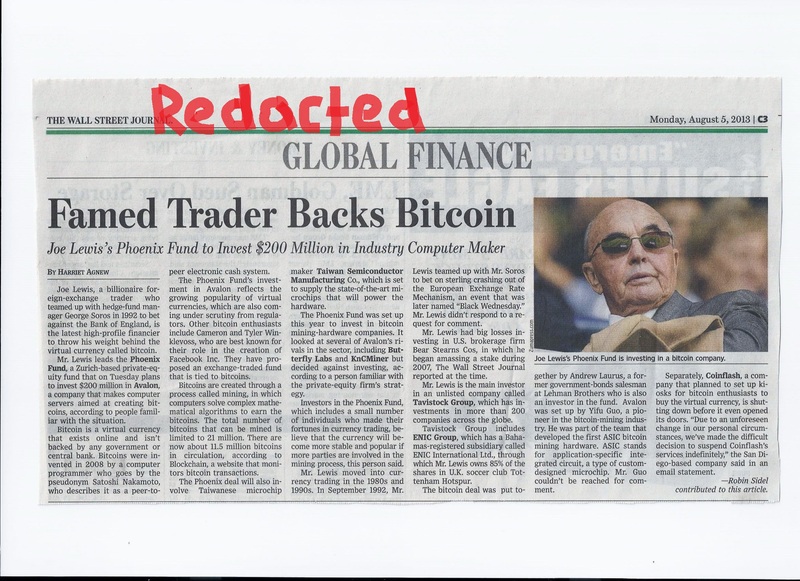 Wexler who lives in Colts Neck New Jersey plead to conspiracy to commit securities fraud and securities fraud in the stock CodeSmart ($ITEN). The DOJ’s original complaint said they believed Wexler had made $2.2 million in manipulative trading of CodeSmart. Sentencing appears to be held in Wexler’s case as it is possible he is turned government witness against his partner AJ Discala. Discala switched criminal lawyers a few months ago hiring New York-based Charles A. Ross. AJ and his fellow co-defendants are still slugging through motions for discovery and fighting the DOJ charges. Ex-SEC enforcement attorney Tom Sporkin who ran the microcap fraud unit is also helping Discala on the case. Sporkin is now a white-collar defense lawyer for Buckley Sandler in Washington D.C. The SEC parallel case was stayed in mid-November, which is typical when the DOJ leads on criminal charges. If convicted Discala faces years in prison. AJ told this reporter he will fight the case to trial. The CEO of a merchant bank that helped fund dozens of micro-cap companies claims he is a target of regulatory overreach after he was indicted in late July on ten counts of criminal misconduct for his alleged role in pump and dump stock schemes. Abraxas J. Discala (known as A.J. ), CEO of Connecticut-based OmniView Capital Advisors, was arrested while on business in Las Vegas in July after the Justice Department revealed what appeared to the DOJ to be damaging wiretaps labeling him as a ringleader who tried to manipulate the price of penny stocks and mislead investors about financials in public companies. The DOJ used Discala’s status as the ex-husband of an actress to get their arrest splashed across international headlines in a move to show Obama’s task force on financial fraud is finally arresting Wall Streeters. But a look inside the deal documents show the Justice Department doesn’t know who the bad actors really are in this case. This reporter was given exclusive access to deal contracts, executive’s emails, and conducted interviews with some of the players involved in one of the alleged stock frauds called CodeSmart ($ITEN). The case shows a unique look at the backroom deals made to help small entrepreneurial companies raise capital through alternate public offerings and highlights the questionable tactics microcap advisors use to get discounted free trading stock. Discala, age 43, started his career with a Chicago-based firm, TJM Institutional Services, selling bonds after he decided not to go into the family real estate business. He married Sopranos actress Jamie Lynn-Sigler for three years in the early 2000’s taking a break from the Wall Street business and acted in part as the actress’s manager. He returned to high-finance and focused on helping growth companies raise capital. Omniview, his firm, typically made bridge loan investments in microcap companies and consulted with company CEO’s on how to build growth pre-IPO. Discala and his partner Marc Wexler were not registered as placement finders and did not take a cash fee for their advisory services. Instead they would get deep-discounted restricted or unrestricted stock before a company was brought to the public markets as payment for their services. This stock was placed in multiple accounts and the SEC accused Discala of masking who actually had control of the shares so he could avoid reporting owning more than 5 percent of Codesmart’s stock. AJ would bill himself as a long-term investor when pitching CEO’s and have all parties involved sign lock-up/leak-out agreements, prepared by his counsel, controlling how much of his stock he could sell into the market at a given time. Discala says his goal was to ensure that no one could dump the stock and hurt the currency of the company. He also would hire third-party due diligence subject matter experts to fill any management gaps. “I go in as a long-term investor with members of my team who are very active at trying to add value to a company pre-ipo,” Discala told this reporter. Discala was arrested after the DOJ started listening in on his daily conversations and learned AJ was working with others to try and move the price of microcap stocks higher. Government wiretaps, obtained for 60 days, started with the Southern District of New York after a whistleblower told them to look into AJ Discala but the case was quickly kicked over to the DOJ’s B-team in the Eastern District of New York, which is run by Loretta Lynch. Lynch’s office is best known for their failure to convict the Bear Stearns hedge fund managers during the financial crisis. Only one of the seven people arrested in Discala’s case live in the E-DOJ’s jurisdiction and none of the stocks in the complaint are domiciled in Lynch’s jurisdiction. Emails show associates of Discala believe a man named Danny Weinstein has talked to the feds about players in the microcap space after a group of eastern Europeans were arrested in April for stock manipulation. Weinstein is believed to have turned confidential informant in the case of US v. Alexander Goldshmidt after a group of investors threatened his life when they lost money in a stock deal; he is also believed to be an unnamed co-conspirator in the case. The government secured a court order to wiretap Discala after they made the arrest involving the Weinstein/Goldshmidt crew. The tapes give the appearance of Discala and Wexler planning stock purchases at specific prices between each other and using two stockbrokers, who worked for small time brokerage firms, to get their mom and pop clients to buy the stock and create a market. Discala met one of the brokers, Matthew Bell, after consulting for a different company where he learned a large portion of the investors in the company stock were clients of Bell’s. His goal was to find a stockbroker that believed in the small cap stocks he was investing in and was willing to pitch the often risky investments to his main street clients. Discala saw Bell as a more efficient way to get market traction on a microcap stocks than hiring a stock promoter. The problem is the DOJ’s complaint accuses both stockbrokers Discala worked with, Bell and Craig Josephberg, of not telling clients they also received discounted unrestricted stock. The stockbrokers would’ve had to clear the gifted the stock through their compliance office because it would be considered receiving outside compensation from one (Discala) of their clients. The DOJ and the Securities and Exchange Commission both brought parallel cases against Discala and crew. Seven people including one lawyer and the CodeSmart CEO were arrested with Discala. But it appears there should have been more arrest. It is not illegal for companies to give stock to brokers but brokers do have to disclose their ownership of such stock to their clients if they are recommending a buy or sell on the stock. The government complaints do not name the firms the brokers worked for but this reporter learned neither of the brokers were still working for the firms at the time of their arrest. Josephberg was working at Halycon Cabot Partners at the time of the alleged crimes. Discala, Wexler, Bell, and the other broker ,Craig Josephberg, are accused of selling their gifted stock at the height of the stocks’ trading price for millions in profit. But the DOJ, and parallel SEC complaint, offer no time specific details on when these sell orders went through for profits at the direction of the arrested OmniView executives. CodeSmart is a company that trained computer programs for medical coding that is about to be required because of ObamaCare legislation. The company founder, Ira Shapiro, who also faces criminal charges, sought the help of Jeffery Howard Auerbach, a registered broker, to get introductions to bankers to help him raise capital. FINRA’s brokercheck shows Auerbach is being sued for $2 million by a client claiming negligence and multiple FINRA securities violations. Auerbach worked for New York-based Kuhns Brothers Securities when he brought the CodeSmart deal to AJ Discala. Emails from April 2013 that Auerbach sent show independent investment professionals: Danny Weinstein, Joe Salvani, Neil Rock, and Seth Fireman were going to act as ‘advisors’ to help Shapiro with the CodeSmart capital raise. When they backed out Discala agreed to raise funds for the bridge loan of $250,000. This money was needed to boost the company balance sheet before a public shell could be bought and a reverse merger completed. Small companies often use reverse mergers to go public because of the significant cost savings. Deal documents created by Discala’s attorney, Darren Ofsink, show Wexler got 750,000 converted shares for his $150,000 part of the bridge loan investment and a company called ECPC got 500,000 shares for their $100,000 investment. One of the investors in ECPC is a man named Rusty Allen. After the bridgeloan, Discala quickly worked with attorney Darren Ofsink to find an S-I registered shell to reverse merge CodeSmart into and take the company public. Omniview’s outside counsel Darren Ofsink recommended buying the shell of a Florida based company started by Sheldon Rose, according to emails from Ofsink. The attorney told Discala that Sheldon Rose “was the most meticulous shell guy he’d ever worked with”. When buying a shell you have to make sure enough time has passed so a legal opinion would approve some of the shell’s restricted shares become unrestricted and can trade on open markets as soon a reverse merger is complete; or you face SEC violations if you don’t get the timing right. OmniView pulled together more investors and for $350,000 bought a public shell called First Independence. The reverse merger was complete on May 21st, 2013 according to SEC filings. The only person to stay in the deal from the original capital raise group was an independent stock marketer Joe Salvani; who had been charged by the SEC during the dot.com boom for selling securities to investors in mainstreetipo.com without being a registered broker. New York State business registration records shows he owns or is affiliated with JFS Investments, Hudson Park Capital, and Draper Inc. All his LLC companies latter received free trading shares in CodeSmart, according to contracts and emails from company executives seen by this reporter. In the late 90’s Forbes published a feature story on Salvani called the ‘Master Tout’. Detailing how he gets discount stock in microcap companies to help market the stock to mainstreet investors and find access to capital. The article alluded to his uncanny ability to spread out his gifted stock into the markets as the price raises and sell these stocks before they crashed. Salvani told this reporter who saw him entertaining at a hot Wall Street hang out, called STK, in August that he works with a registered broker- named Dan Walsh who currently works in the capital markets group of Garden State Securities (a broker/dealer). Salvani will tell company CEO’s he can help create an active market in their stock and get financing through Garden State Securities even though he doesn’t work for the broker dealer. Dan Walsh, when asked by this reporter, if he works on advisory deals with Salvani did not respond for comment. Walsh’s bio touts his work as primarily helping micro-cap companies raise capital through PIPE deals and that he is an equities trader. Garden State Securities has nineteen regulatory enforcement actions against the firm and is currently being sued for deceptive marketing practices in stocks they sold retail customers and other securities violations, according to FINRA. An email on May 14th, 2013 from Codesmart’s CEO Shapiro to Discala says, “Salvani and Walsh were asking the company for $6 million shares (which would have been 10% of the company’s outstanding shares at the time) and they wanted the restricted shares to vest as soon as their ‘consulting’ contracts were executed”. Meaning they wanted to get paid in deep discounted stock they could trade right away for a profit. This reporter saw Salvani sign a contract for 2.5 million CodeSmart shares that vested right away but no final contract was seen signed by Dan Walsh personally. Instead, contracts seen by this reporter, show Garden State Securities received 313,332 (post 2:1 split) shares in CodeSmart on June 6th 2013 that become unrestricted in January 2014 for financial advisory services. These shares were granted shortly after the reverse merger was completed when the stock was trading above $6. By June 28th, 2013, within six weeks of the reverse merger, CodeSmart had run up to $6.90. At the time of the reverse merger on May 21st, 2013 the stock was trading around $2.30. The government’s complaint alleged Wexler and Discala flooded the market with shares via the stockbroker’s clients in May but fails to mention Joe Salvani also had 2.5 million unrestricted shares and a history of moving shares throughout his network of brokers. Wexler and Discala had signed lockup agreements to not offload more than 5% of the shares they held at a time. Discala also held unrestricted shares in a company he controlled called Fidelis and so did stockbroker Josephberg in an LLC called Garper, according to the government complaint. It’s unclear if the stockbrokers had signed lockup agreements in their personal accounts. Salvani was not arrested or charged by the SEC in the CodeSmart case. The SEC claims in court documents the First Independence shell became effective August 2012 and applied for distribution of 3 million shares to its original 24 investors in January 2013. Sheldon Rose was able to gather all the shares and sell them to investors Discala found in May 2013. The SEC is claiming in litigation the timing of the subsequent required forms for a reverse merger, including a Form 10, was not done timely to allow the 3 million shares to become unrestricted for the CodeSmart investors. A legal opinion letter written by Diane Harrison of Florida-based Harrison Law P.A. on May 21st, 2013 was given to the original CodeSmart investors by Darren Ofsink’s office telling them that on advice of counsel the shares were now free to trade. The Harrison letter stated First Independence (the issuer) registration statement was declared effective by the SEC on March 6th 2012. The letter was also sent to IslandStock Transfer, a clearing firm, stating as of May 21st the issuer had met the reporting requirements of Section 13 of the exchange act and had filed quarterly reports for over one year. The DOJ’s complaint does not argue that the shares were restricted. When shares become unrestricted in a public shell there are multiple firms that have to approve the shares to trade which included broker dealers and clearing firms. None of the firms involved in selling the CodeSmart shares found the shares to be restricted. According to emails from Ofsink’s office these investors received free trading shares of the reverse merger for funding the purchase of the shell: Fidelis Holding (owned by Discala) 312,500 shares, Jeffrey Auerbach 150,000 , Marlene Goepel (Discala assistant at OmniView) 125,000, Joe Salvani (Hired Stock Promoter/Consultant of CodeSmart) 312,500, OmniView Capital (owned by Wexler and Discala) 362,500, ECPC 187,500, Darren Ofsink 125,000, Craig Josephberg (a stockbroker arrested with DiScala) 368,750, and Lucy Ostrovsky 125,000 shares. Documents from Ofsink’s office say all these shares were prices at $2.3 cents. People involved in the investigation told this reporter the SEC was working on their own investigation and the Eastern DOJ rushed the charges when they thought Discala was going to leave the country and had offshore accounts set up to hide money. The DOJ learned after Discala’s arrest he was just planning a trip to Europe so his wife’s parents could meet their 10-week old daughter. Discala, who grew up in a prominent East Coast family of lawyers and real estate moguls, has deep roots in the United States. The FBI raided Discala seaside home in Rowayton, Conn. at 6am waking up his wife and baby girl who were alone in the house. Mrs. Discala told FBI special agent Michael C. Braconi her husband was on business in Las Vegas. AJ Discala waited at his Wynn Hotel room for the feds to arrest him and a Vegas federal judge release him to fly home on his own without a bond. A few days later the eastern DOJ prosecutor, Walter Norkin, reneged on a verbal bail agreement Discala’s attorney had made and got a judge to agree to strict bail requirements putting Mr. Discala on home confinement and post a $2 million bond. The bond was secured by his family’s homes. Court transcripts show Norkin believed, based on their wire taps, Discala and crew were planning to commit more securities fraud in a company called Scanbuy that AJ was raising capital for. A notion Discala finds absurd and without a fact basis. After the arrest Scanbuy pulled Discala’s advisory contract. Discala had told the shell investors that Joe Salvani’s friend at a boutique investment bank called Axiom was set to fund a $4mn PIPE deal to help make sure the company had working capital after the reverse merger was complete. Discala had also met with Axiom who assured him they were on board to fund the PIPE transaction. Based on emails, interviews with people involved in the deal and copies of a contract; Randy Fields of Axiom committed his firm on May 15th, 2013 to a $4 million PIPE investment in return for a $22,500 retainer and $1.5 million of CodeSmart common stock. After the reverse merger was complete Axiom backed out of the PIPE financing. Randy Fields did not return a request for comment asking why his firm did not fund the deal. At that point Discala choose to help find investors in the PIPE, raising only $2,624,300 million at $3 per share of common stock which was a 17% discount to the stock on the day it closed June 5th, 2013. Investors included: Marc Wexler, Discala’s father Joseph Discala, Omniview Capital, and ECPC a firm that also invested in the bridge loan. All received discounted stock that was restricted. Codesmart never made interest payments on the PIPE deal and ECPC was given 400,000 shares of unrestricted stock as an ‘advisor’ in the PIPE according to emails and SEC filings. Before the PIPE was funded, emails show Salvani, worked with deal finder Eli Washrsager, to negotiate a $20 million financing contract with Sam Chanin, CEO of Factor CU Financing. The $20 million facility would lend $4000 of tuition per student for programs that went through the CodeSmart University; an online training program. Discala used the signed contract by Chanin to help convince others to invest in the PIPE financing. But on June 20th, CodeSmart CEO Ira Shapiro tried to change the financing agreement and Chanin sent an email to Salvani and Wahrsager that he was backing out of the deal. Discala says in hindsight this was a pattern he says Shapiro repeated; promising investors contracts that never came to fruition. Salvani and Wahrsager did not respond for comment regarding their role in this deal. The canceled Chanin contract was a big problem for CodeSmart’s growth strategy. But investors never learned about the failed financing; which likely would have deflated the stock’s value that was already trading above $6 only two months after becoming a public company. Meanwhile Shapiro and Salvani got a small time research group called Umbrella Research to write an analyst report with a price target of $12 that was promoted on the CodeSmart website and sent around to main street investors who were clients of the two arrested stockbrokers. The brokers are Matthew Bell and Craig Josephberg (known as Jobo). Discala says Salvani offered Umbrella $50,000 to write the research report but never paid the firm. Discala covered the bill after it went unpaid so Umbrella could get the report published. Checks seen by this reporter were then paid by Umbrella to three of Salvani’s LLC’s who had been gifted unrestricted stock as part of his investor relations/ marketing consulting agreement. The checks say they are buying CodeSmart shares in what appears to be a sale of stock via a secondary transaction. Umbrella research told this reporter CodeSmart CEO Ira Shapiro told Umbrella to buy the shares from Salvani. It is unclear why CodeSmart didn’t grant the shares directly to the research firm. Salvani’s three firms (JFS Investments, Hudson Park Capital, and Draper Inc.) each received $583 for a total of around $1600 from Umbrella Research. Umbrella analyst, Joe Giamichael, told this reporter they put a $12 buy rating on CodeSmart in their initial research report but were not informed a PIPE deal was planned to follow the reverse merger which would have changed their price target. “Unfortunately immediately after our initiation, management chose to do a placement at a huge discount to market and did not want to entertain any of the capital formation suggestions we had. Our relationship with management drastically deteriorated after that,” analyst Joe Giamichael told this reporter in an interview. Umbrella also said on the record they did not work with AJ Discala or Joe Salvani in any way to prepare the research report. It took Umbrella until April 2014 to downgrade the stock after it was trading below $1. Positive press releases kept coming out the company touting contracts with universities to use CodeSmart’s training but then the contracts were never fulfilled. The analyst covering the stock and CodeSmart’s CFO, Diego Roca, were questioning if Ira Shapiro was every telling the truth about his company’s earning potential. At its height the stock reached near $7 and went through a 2 for 1 stock split, doubling the unrestricted shares for CodeSmart early investors. The Justice Department indictment states Discala was part of a group that wrote false or misleading press releases. Jules Abramson, who was hired as outside press for CodeSmart, told this reporter Discala was not part of the press release writing; except to approve one quote in one release that announced Omniview had been hired latter in 2013 as a business consultant to help the company meet its financial targets. Abramson said Ira Shapiro provided the press release information which was vetted and approved by attorney Daren Ofsink office. After the company went public Ofsink also served as corporate attorney for CodeSmart while he was still AJ Discala’s attorney. A few months after CodeSmart was trading publicly the stock started to take a slide. Discala and a former CFO of the company, Diego Roca, both told this reporter they could see short action in the stock. It is hard to short micro-cap stocks unless a broker dealer is allowing naked shorting because there is often not enough outstanding stock on the market to borrow for the short action. A broker dealer, like Garden State Securities, could have helped make the short action happen but only a regulator would get access to trading records to prove this. Discala had gotten some original CodeSmart investors to sign ‘lock-up’ agreements. These contracts, seen by this reporter, say the holder of unrestricted shares has to hold their shares for 60 days after the reverse merger and can’t sell off more than 5% of the stock they hold at a time. But Discala believes not everyone was honoring those agreements. As the stock slide and hovered around $2-$3 Discala was working on another $1.5 million long-term private equity placement agreement for CodeSmart. But it had conditions for Shapiro to put in more internal controls and allow Discala his own board members. Discala also started to ‘gift’ stock his companies owned to the stockbrokers he was working with so they could sell it to their clients who were losing value in their CodeSmart stock. The regulators complaint says Discala and Wexler were dumping their shares and got brokers Bell and Jobo to sell more shares to their clients. The regulators complaint shows Bell telling his clients they could buy CodeSmart for only .19 when it was trading above $2 that day. Discala says he gave away the shares at his cost to what he invested in CodeSmart so people would not rush to sell their shares during the short squeeze. The government is arguing that regardless of profit the timed buying and selling of stock Discala and Wexler were doing equals a match trade. In their view these transaction are market manipulation to create an appearance of market activity by more than a few players. Discala will argue he is a long-term investor trying to support a stock against short sellers. In November 2013, Shapiro fired Discala and OmniView as advisors to raise capital. Ofsink, acting as attorney for CodeSmart, tried to get Discala to sign an agreement absolving Shapiro and CodeSmart from any liability in canceling their consulting contract with OmniView. Discala declined and hired a private investigation firm to go over all the deal documents and public filings of CodeSmart. Those findings were seen by this reporter and were also binders that the FBI seized from Discala’s office the day of his arrest. Meanwhile Shapiro continued to work with Garden State Securities; the broker-dealer where Salvani’s pal Dan Walsh worked. CFO Diego Roca told this reporter Garden State introduced CodeSmart to Redwood Fund II a Florida-based firm that did small SPA transactions for them. Redwood sold multiple deals, valued at $50,000 to $100,000 each, of short-term debt to discounted equity to funds like: Black Mountain Equities, Magana Equities, Fife Trading and their own Redwood fund. The deals are called SPA’s and were completed at the end of 2013 through spring 2014. Redwood is run by Gary Rodgers and John DeNobile. CodeSmart CFO Diego Roca told this reporter it was the only funding they could get on the market and were always running out of cash because of Shapiro’s spending and unfulfilled contracts. He publicly filed an 8-k when he quit CodeSmart in April 2014 saying he could not support the actions of management. Diego told this reporter the SEC told him they had tried to subpoena records from CodeSmart before the arrest were made and Shapiro ignored them. After the arrest of his CEO, Diego Roca came back into the company as the Chief Restructuring Officer and has turned over company emails and records to the SEC. Deigo says he was told he is not under SEC investigation and was not arrested by the DOJ. Before Discala was arrested in July he was interviewing lawyers to sue CodeSmart for fraud as an outside investor in the firm. Discala expressed concern over what he sees as Ofsink’s conflict of interest while he was attorney for him and CodeSmart. (Ofsink was not arrested by the DOJ or sued by the SEC and did not respond for comment for this story.) In fact, emails starting on June 7th between former CFO Roca and Ofsink, show Ofsink knew the FBI was investigating CodeSmart before Discala was arrested in late July because the FBI tried to go to homes of the CodeSmart executive’s homes. According to Discala, Ofsink never warned his client, Discala, of this; who was being wired tapped at the time. The DOJ’s complaint list three confidential witnesses against Discala; AJ has yet to learn their identities. The SEC is supposed to give a defendant notice they plan to charge or bring an enforcement action against a firm. The defendant is then given a chance to come in and do an interview. Often this process is called receiving a ‘wells notice’ and public companies have to disclose in SEC filings this is happening so stock investors are informed. None of this happen in the CodeSmart case and it was only in August that the SEC started to push subpoenas and document request in the stocks Discala and crew were arrested for. The SEC can claim because the DOJ thought Discala was planning to leave the country with money they could get an ex partie order and circumvent standard civil rights Discala should have. AJ Discala plans to fight this case to trial and recently hired former micro-cap enforcement lawyer for the SEC Tom Sporkin. Sporkin, who spent 20 years with the SEC, is a now a partner at Buckley and Sandler LP. Sporkin told this reporter, “I will be asking for a bill of particulars right away.” Sporkin will do this because the government needs to show how the text messages between two business partners correlate to the exact timing of stocks being bought and sold. This would be a defense to the governments’ accusation of wash or match trades. The government could also try to prove Discala and team were to trying to support an upward price of the stock to benefit a larger scheme if say they or any of their affiliate companies had bought call options in CodeSmart. A call option would bet that the price of CodeSmart stock will go up to a certain price at a date in the future. The SEC is expected to agree to a stay of their civil complaint while the defense litigates the DOJ’s criminal charges. Discala was kept on an ankle bracelet keeping him confined to him home for over 45 days. A federal judge ordered it cut off last week. The government also admitted in legal filings they overstated Discala’s wealth and he does not have a $7 million trust fund as they touted in the arresting press release. Early in this case we already have the DOJ admitting to errors to get an arrest. Court documents show the government seized bank accounts with less than $200,000 in them and the Discala family was allowed only $30,000 to live on. As a condition of his bail agreement Discala is currently out of the money-raising business. Editor Note: This case is a unique opportunity for the SEC to make case law on how far institutional investors in mirco cap stocks can go to get traction in a stock. There is little question Discala and Wexler had a plan to support an upward price movement in the stocks they invested in. Hedge Funds get together often and plan large buys or sells in a stock, which Company CEO’s don’t always find ethical but our securities laws allow it. Without big name analyst research and a large bank like Goldman or Morgan Stanley taking a company public small cap stocks face large challenges in going public to raise capital. They don’t have the funds or capital to pay for expensive IPO’s; that is why a reverse merger has been favorable in the past. The Jobs act and the rules the SEC is currently making for RegA Plus are trying to address these hefty cost for small cap companies and give them better access to capital. But this is slow to come. In Discala’s case he was trying to use an alternate public offering to get the stock to move. Is this criminal? Unless he is naked shorting, falsifying press releases, selling restricted shares with illegal opinion letters from attorneys ,there is a large question looming if Discala really broke any laws. Do Discala and Wexler face technical violations of the 1934 Securities law- maybe? Everyone who invest in a stock wants it to go up. The Street will be watching this case to see how far the courts allow pre-ipo investors in companies to get upward movement and an active market in micro-cap stocks. Lorretta Lynch’s DOJ boss in D.C. will be watching to see if she overreached in charging Discala or if she can finally get a conviction in a Wall Street case. I will be watching if Joe Salvani or Darren Ofsink also get arrested for their role in Codesmart. This publication is funded by donations from readers. Great long form journalism needs your support. Please donate. If you need to donate via a check you can email me at teribuhl@gmail.com for an address.